A rehabilitation center for retired dancing bears sounds like a typo. Yet this is exactly what the animal rights NGOs Four Paws and Foundation Brigitte Bardot created 13 years ago in Belitsa, Bulgaria. For many Bulgarians the first childhood contact with a forest animal is seeing a ‘dancing bear’ on the street in their city. These chained brown bears (Ursus arctos) would stand on their back feet waving their front paws on hearing their gypsy master play the gadulka (a local musical string instrument). Children used to admire the dancing bears; little did they know of the tragic fate of these animals. Balkan gypsies used to pass down the ‘craft’ of dancing bear mastery as a family tradition. When the son was old enough, his father would buy a baby bear from a local zoo and give it to his son to train. “The first step was to break the bear’s will,” explains Dimitar Ivanov, director of the bear rehabilitation center in Belitsa. The 4-5 month old baby would be tied and stretched on the ground and deprived of any food and water for days. Then the master-to-be would start giving it water little by little. Soon after they pierce its nose—the most sensitive part of the body—and attach a ring and a chain. The excruciating pain from pulling the chain would remain the primary method of control for the rest of the bear’s working life. The owner would beat it daily before feeding it. 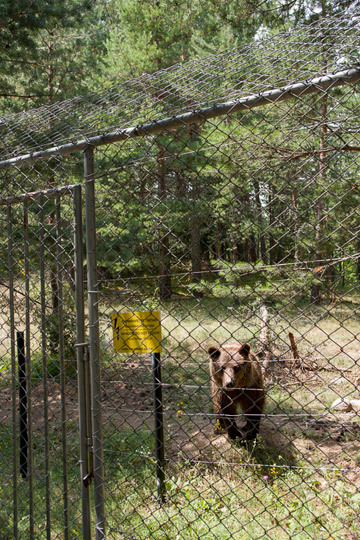 Rescued dancing bear at Four Paws in Bulgaria. Photo by: Nicolas Cegalerba. “If I don’t hit it a couple of times with the shovel every day, it won’t know who the master is,” one of the gypsy owners told Ivanov explaining his methods. Once the bears learn to obey, the next step is to teach them to “dance.” For that purpose they would place the baby bear on top of a hot metal sheet supposedly to make it stand on its back feet while trying to avoid the pain. At the same, time the gypsy master would play music on the gadulka or another traditional instrument. The idea was that later on in the street, even without the metal sheet, the bear would remember the pain upon hearing the music and stand up to dance for the crowd of tourists. By the end of the training, the dancing bear had nothing in common with its wild counterparts. In 1999 dancing bear training and performance was outlawed in Bulgaria. But the question remained what to do with the bears already trained. That is when Four Paws and Foundation Brigitte Bardot decided to invest 2 million euro ($2.6 million) to build a rehabilitation center in Belitsa as the final home for the tortured animals. Rescued dancing bear. Photo by: Nicolas Cegalerba. 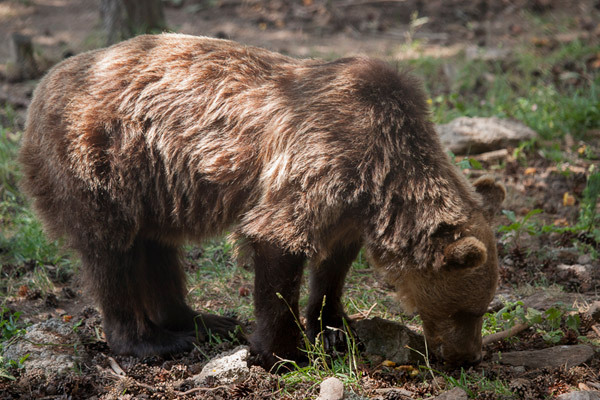 Since the beginning of the project, all 25 dancing bears in Bulgaria have been rescued. Four of them already died of old age, but the remaining ones continue to live a comfortable life in almost natural conditions. The park, tucked away in the picturesque Rila mountains, closely resembles the surrounding forest. It spans an area of ten acres and around 200 feet in altitude change. There are seven enclosures and each contains mixed forest, open fields, a small creek and a swimming pool, where the bears love to play and spend time. With a proper diet and special medical care, the rescued animals have regained a lot of their natural behavior and habits. All of them, for example, now regularly go into hibernation during the winters—an instinct they had never previously been able to follow. Another nature’s call that the bears definitely hear is the desire for reproduction. “When the females enter in estrus, we are like in a Latin soap opera here,” says Ivanov. “Lovers are swapped, friendships are destroyed and jealousy and drama rule the entire community of bears.” But to no avail. The park has a strict non-reproduction policy and all males are castrated. Within the various enclosures bears are grouped by character and physical condition. The most dominant ones are by themselves—brown bears are solitary animal by nature. But the more amicable ones share enclosures and enjoy each other’s company. The park is quite famous and Ivanov has received lots of inquiries about volunteer positions, but he is not willing to take any risks. Four Paws facility in the mountains. Photo by: Nicolas Cegalerba. 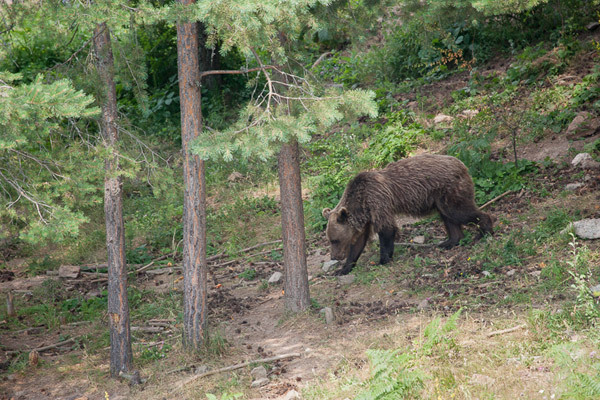 Brown bears have gone extinct in many European countries but the population in Bulgarian mountains has remained stable at around 500 to 700 animals in the wild. Bears are omnivorous. Their diet is based on acorns, fruits, roots, plants (they graze up to 30 pounds of grass per day in the spring), fish, honey and any animals they can capture. But what they love most of all is easy food. Which is the source of the greatest conflict between bears and humans. In many Bulgarian mountains hunting is legal. A common hunters’ practice is to provide extra feed for the game, such as deer and wild boars. “But the wild bear cannot read a sign ‘For wild boars only. Do not eat!’ So it starts associating easy food with human smell,” Ivanov explains. “When a person meets a bear in the wild, communication is poor. We do not speak each other’s language and it’s easy to make a gesture that the bear will interpret as threatening. And then it charges to clear the threat,” explains Ivanov. 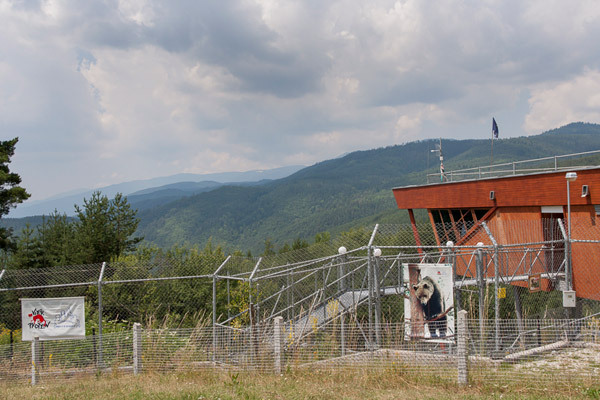 Further proof that human-bear conflict is avoidable is that in popular hiking areas in Bulgarian mountains where hunting is prohibited (hence, no game feeding), there are no registered attacks by bears, despite the huge number of visitors. In the meantime, thousands of Bulgarians visit the rehabilitation center in Belitsa every year to see the magnificent animals from close. Many ask what will the park be used for after all the retired bears die of old age? Rescued bear at Four Paws. Photo by: Nicolas Cegalerba. * One reader complained about the use of “gypsy” in this story, which in some places and to some people is considered a pejorative term. 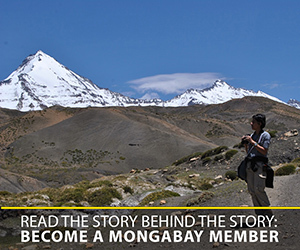 The editor decided that given the use of the term within the Romani community, it was suitable to leave it in the story. No offense is intended from use of the term. (08/19/2013) In 2010, Bulgarian airport authorities confiscated 108 African grey parrots (Psittacus erithacus) from a smuggler. Last month, the 28 parrots who survived the stress of being stuffed into dog kennels, constantly handled by humans, and the absence of their native habitat, completed their three-year journey to freedom. (06/04/2013) Before Anna Nekaris began championing the cause of the world’s lorises, little was known about this cryptic family of large-eyed, nocturnal, insect-eating, venomous primates. Nekaris, with Oxford Brookes University and founder of the Little Fireface project, has been instrumental in documenting rarely-seen loris behavior, establishing conservation programs, and identifying new species of these hugely-imperiled Asian primates. (03/12/2013) Caught in a beam of torchlight, the eyes of the slender loris reflect back a striking glow. In an effort to better understand these shy, nocturnal primates, a team of researchers set out to the Western Ghats of India. The resulting paper: Moolah, Misfortune or Spinsterhood? The Plight of the Slender Loris (Loris lydekkerianus) in Southern India was published in the Journal of Threatened Taxa in January of 2013. Forest walks and interviews with the Kani people, who live in close proximity to the lorises, supported evidence of a surprising new threat to the lorises: photographers. (01/31/2013) In the forests of Asia, bears are being captured. These captives will be sent to bear farms, most unregulated and illegal, where they will be kept alive in a small cage, locked away for life. Their bodies will be used as renewable natural resources, from which profit will be made through the extraction of internal organs and fluids. By surgically inserting a permanent catheter into the bears’ gall bladders, “farmers” extract several ounces of their bile. In a cycle of exploitation across east Asia, traditional medicine shops receive these daily shipments of bear bile products, while consumers support the industry through the purchase of these products, sustaining a supply-and-demand chain that puts more and more bears in cages as wild populations dwindle.